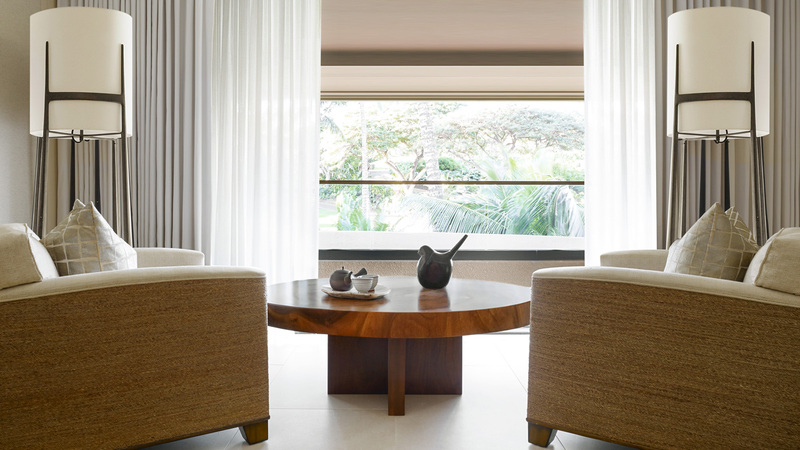 Just when I thought my favorite island couldn’t get any more luxurious, Four Seasons Resorts Lanai is announcing two new services for visitors, and they’re first-class all the way! New Lanai Airport Lounge: The Four Seasons Lanai has just announced a new airport lounge for resort travelers to and from Lanai. The new airport lounge is situated near Gate 24 on the second floor of the Overseas Terminal, and will welcome Four Seasons visitors traveling to and from Lanai. The new airport lounge is situated near Gate 24 on the second floor of the Overseas Terminal, and will welcome Four Seasons visitors traveling to and from Lanai. 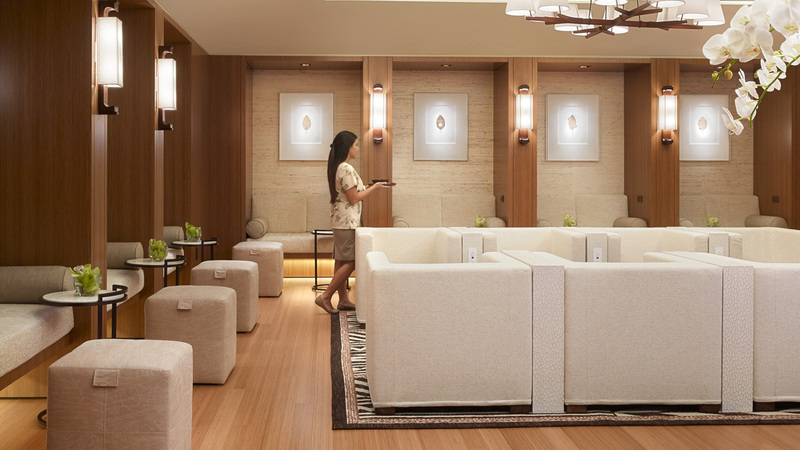 The 1,000-square-foot (93 square metre) luxury lounge offers pre-flight comfort for passengers in transit to the secluded island. Guests will benefit from a number of complimentary amenities including food and beverages offerings, luggage holding areas, magazines, newspapers and hi-def televisions in a seamless stay. Those seeking hi-tech entertainment or time for productivity can enjoy complimentary Wi-Fi access, multiple charging stations and iPads for use during a visit. Additionally, the Lounge’s Lanai Ambassadors are available to assist with check-in, bookings for a variety of land, sea and air activities, Jeep rentals, restaurant reservations and more. Travelers can also relax in the lounge on their return trip. Guests will benefit from a number of complimentary amenities including food and beverages offerings, luggage holding areas, magazines, newspapers and hi-def televisions in a seamless stay. Hawanawana Spa: The Four Seasons Resorts Lanai has also announced the opening of its new spa, whose Hawaiian name translates to whispering ocean – where the sea whispers upon the sand. The Spa offers eight treatment rooms including four new couples suites featuring rain showers, an intimate living and dining area and side-by-side deluxe spa treatment beds as well as new reception, retail and waiting areas. The salon offers manicures and pedicures and a selection of hair, bridal and makeup services to enhance a visit. The Four Seasons Resorts Lanai has also announced the opening of its new spa, whose Hawaiian name translates to whispering ocean - where the sea whispers upon the sand. Ocean Ritual – This tranquil, soul-soothing body polish, massage, cranial flow therapy and hair condition­ing treatment makes use of wild seaweed and undaria algae oil. The ritual ends with a nourishing Super Green Marine Bath. 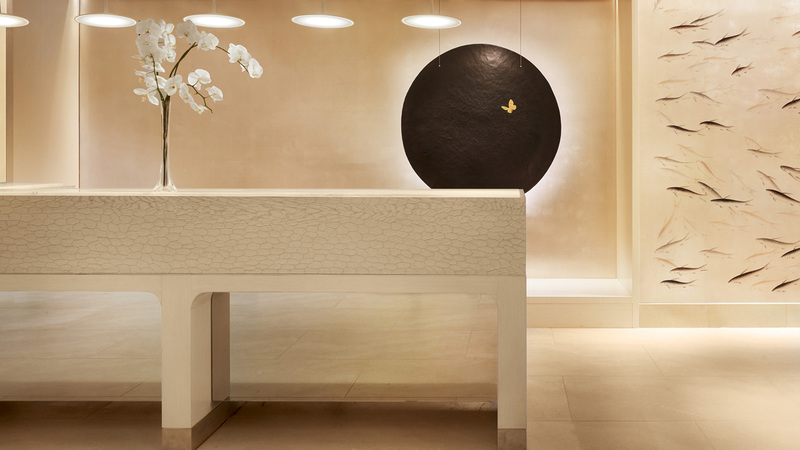 Suite Serenity, a four-hour exclusive experience, takes place in a private treatment suite and begins with a customised combination of massage and body treatments and includes customized facials that will leave couples in a state of bliss. Algae Ti Leaf Body Wrap – This cooling, aromatic wrap begins with wild algae, aloe vera and green tea gel, followed by a calming overlay of fresh ti leaves. Pineapple Citrus Body Polish – Lanai was once known as the “Pineapple Island” and the signature scrub is based on an old family recipe and made in the Resort’s kitchen. It leaves skin energised and smooth as silk. Four Seasons Lanai is used to doing things first-class, and the Spa is no different. 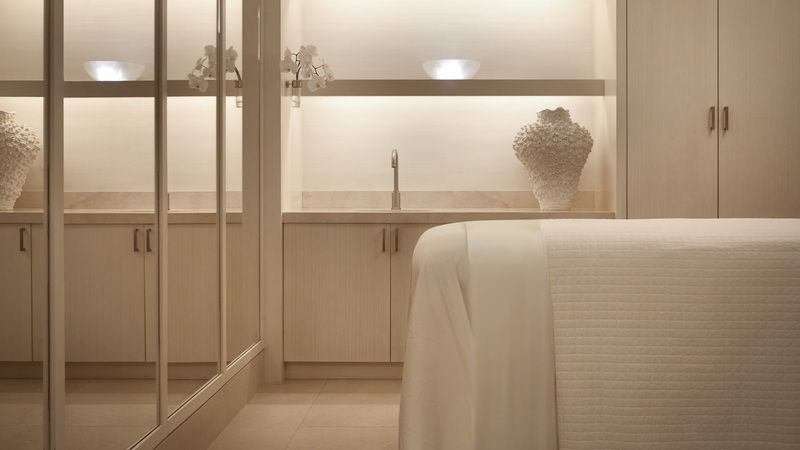 Guests can look forward to being pampered in the Spa's luxurious setting. Couples Suites: Suite Serenity, a four-hour exclusive experience, takes place in a private treatment suite and begins with a customized combination of massage and body treatments and includes customised facials that will leave couples in a state of bliss. Finish with an in-suite epicurean selection while relaxing in the luxurious suite’s living area. Poolside Spa: Take relaxation poolside with a selection of 30-45 minute treatments or book a private poolside Sanctuary offering privacy, comfortable couches and oversized lounge chairs as well as spa experiences. The Resort provides complimentary use of t-shirts, shorts and sneakers upon request for use in the fitness centre, as well as water, fresh fruit and towels and is available to guests 12 years of age and older. Fitness and Meditation: Guests can journey away from the stresses of everyday life and make positive changes in lifestyle, attitude and personal focus. Fitness and yoga instructors offer a variety of complimentary indoor and outdoor classes, including yoga, Pilates, cycling, pre-natal, meditation, healthy lifestyle lectures and cardio-inspired workouts and can be booked for private training sessions, fitness assessments and meditation. The Resort provides complimentary use of t-shirts, shorts and sneakers upon request for use in the fitness centre, as well as water, fresh fruit and towels and is available to guests 12 years of age and older. The Spa will feature signature treatments, as well as traditional treatments for those who like Swedish, deep-tissue, or shiatsu massage. If you’ve been waiting for an excuse to visit Lanai, you now have it! So, book your visit through Hawaii Aloha Travel, and enjoy luxury Hawaii-style!